We have this friend she is a magical witch. She is super frugal with her money. She is the kind of person who goes dumpster diving for ingredients to us in the spell. Her cauldron was purchased at discount store. She refuses to buy new clothing until her garments rip at the seams. What people don't know about her is that she is a millionaire. A super smart one, and just wants to save money. She lives a grunge lifestyle to dollar bills, and we are totally digging her style. 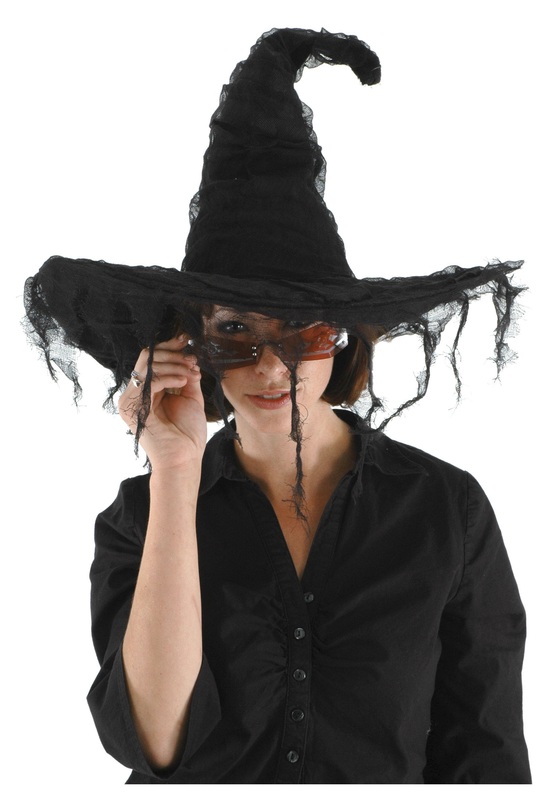 You can be just like her in the Grunge Witch Black Hat. The 100 polyester hat is made to look tattered, but is a wonderful stylish accessory. There is a wire in the brim, so you can adjust the hat for whatever look you are going for.